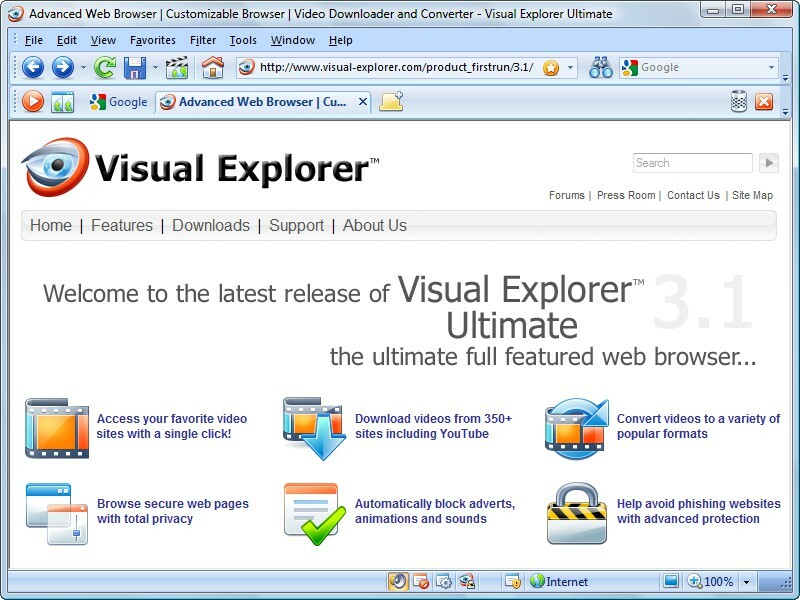 Visual Explorer Ultimate is the ultimate, full featured web browser with support for Internet Explorer favorites and add-ons. Easily remove private data, surf securely with the safety (phishing) filter, block unwanted ads and pop-ups, perform instant Google searches with a single click, download and convert web page videos, print web pages exactly how they appear on screen. Customize with themes, skins and keyboard shortcuts. Search, browse, download videos from YouTube, Yahoo Video, Google Video.